The Flavian Dynasty, which began under the rule of Vespasian during the Year of the Four Emperors, is known for several significant historic, economic, and military events. Vespasian, a general for the Roman army, founded the Flavian Dynasty, which ruled the Empire for 27 years. While Vespasian besieged Jerusalem during the Jewish rebellion, emperor Nero committed suicide and plunged Rome into a year of civil war, known as the Year of the Four Emperors. After Galba and Otho perished in quick succession, Vitellius became the third emperor in April 69 CE. The Roman legions of Roman Egypt and Judaea reacted by declaring Vespasian, their commander, emperor on July 1, 69 CE. In his bid for imperial power, Vespasian joined forces with Mucianus, the governor of Syria, and Primus, a general in Pannonia, leaving his son, Titus, to command the besieging forces at Jerusalem; Primus and Mucianus led the Flavian forces against Vitellius, while Vespasian took control of Egypt. On December 20, 69, Vitellius was defeated, and the following day, Vespasian was declared Emperor by the Senate. Little information survives about the government during Vespasian’s ten-year rule; he reformed the financial system at Rome after the campaign against Judaea ended successfully, and initiated several ambitious construction projects. Praetorian Guard: A force of bodyguards used by Roman Emperors, who also served as secret police and participated in wars. Year of the Four Emperors: A year in the history of the Roman Empire, 69 CE, in which four emperors ruled in succession: Galba, Otho, Vitellius, and Vespasian. Colosseum: Also known as the Flavian Amphitheater, an oval amphitheater in the center of the city of Rome, Italy, built of concrete and sand. The largest amphitheater ever built, used for gladiatorial contests and public spectacles, such as mock sea battles, animal hunts, executions, re-enactments of famous battles, and dramas based on Classical mythology. The Flavian Dynasty was a Roman imperial dynasty that ruled the Roman Empire between 69 CE and 96 CE, encompassing the reigns of Vespasian (69-79 CE), and his two sons Titus (79-81 CE) and Domitian (81-96 CE). The Flavians rose to power during the civil war of 69, known as the Year of the Four Emperors. After Galba and Otho died in quick succession, Vitellius became emperor in mid 69 CE. His claim to the throne was quickly challenged by legions stationed in the Eastern provinces, who declared their commander, Vespasian, emperor in his place. The Second Battle of Bedriacum tilted the balance decisively in favor of the Flavian forces, who entered Rome on December 20. The following day, the Roman Senate officially declared Vespasian emperor of the Roman Empire, thus commencing the Flavian Dynasty. Although the dynasty proved to be short-lived, several significant historic, economic, and military events took place during their reign. The Flavians initiated economic and cultural reforms. Under Vespasian, new taxes were devised to restore the Empire’s finances, while Domitian revalued the Roman coinage by increasing its silver content. A massive building program was enacted to celebrate the ascent of the Flavian Dynasty, leaving multiple enduring landmarks in the city of Rome, the most spectacular of which was the Flavian Amphitheater, better known as the Colosseum. On June 9, 68 CE, amidst growing opposition of the Senate and the army, Nero committed suicide, and with him the Julio-Claudian Dynasty came to an end. Chaos ensued, leading to a year of brutal civil war, known as the Year of the Four Emperors, during which the four most influential generals in the Roman Empire—Galba, Otho, Vitellius and Vespasian—successively vied for imperial power. News of Nero’s death reached Vespasian as he was preparing to besiege the city of Jerusalem. Almost simultaneously the Senate had declared Galba, then governor of Hispania Tarraconensis (modern Spain), as Emperor of Rome. Rather than continue his campaign, Vespasian decided to await further orders and send Titus to greet the new Emperor. Before reaching Italy however, Titus learned that Galba had been murdered and replaced by Otho, the governor of Lusitania (modern Portugal). At the same time, Vitellius and his armies in Germania had risen in revolt, and prepared to march on Rome, intent on overthrowing Otho. Not wanting to risk being taken hostage by one side or the other, Titus abandoned the journey to Rome and rejoined his father in Judaea. 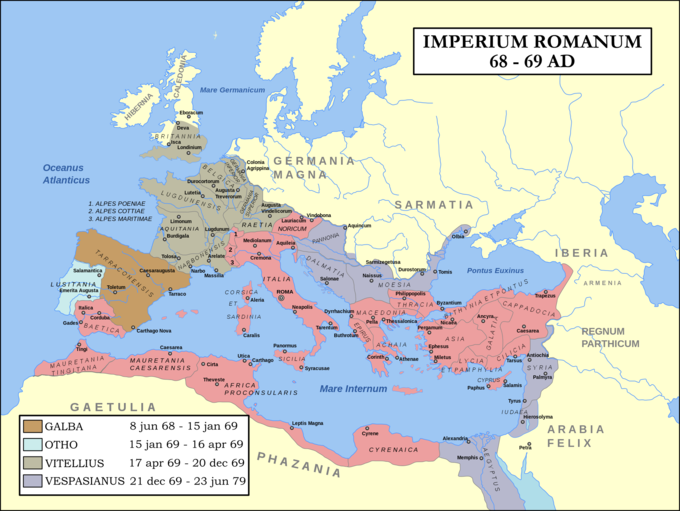 Roman Empire in 69 CE: The Roman Empire during the Year of the Four Emperors (69 CE). Purple areas indicate provinces loyal to Vespasian and Gaius Licinius Mucianus. Green areas indicate provinces loyal to Vitellius. Otho and Vitellius realized the potential threat posed by the Flavian faction. With four legions at his disposal, Vespasian commanded a strength of nearly 80,000 soldiers. His position in Judaea further granted him the advantage of being nearest to the vital province of Egypt, which controlled the grain supply to Rome. His brother, Titus Flavius Sabinus II, as city prefect, commanded the entire city garrison of Rome. Tensions among the Flavian troops ran high, but as long as Galba and Otho remained in power, Vespasian refused to take action. When Otho was defeated by Vitellius at the First Battle of Bedriacum however, the armies in Judaea and Egypt took matters into their own hands, and declared Vespasian emperor on July 1, 69. Vespasian accepted, and entered an alliance with Gaius Licinius Mucianus, the governor of Syria, against Vitellius. A strong force drawn from the Judaean and Syrian legions marched on Rome under the command of Mucianus, while Vespasian himself travelled to Alexandria, leaving Titus in charge of ending the Jewish rebellion. Meanwhile in Rome, Domitian was placed under house arrest by Vitellius, as a safeguard against future Flavian aggression. Support for the old emperor was waning however, as more legions throughout the empire pledged their allegiance to Vespasian. On October 24, 69, the forces of Vitellius and Vespasian clashed at the Second Battle of Bedriacum, which ended in a crushing defeat for the armies of Vitellius. In despair, he attempted to negotiate a surrender. Terms of peace, including a voluntary abdication, were agreed upon with Titus Flavius Sabinus II, but the soldiers of the Praetorian Guard—the imperial bodyguard—considered such a resignation disgraceful, and prevented Vitellius from carrying out the treaty. After several skirmishes between the factions, eventually Vitellius was killed and on December 21, the Senate proclaimed Vespasian emperor of the Roman Empire. Although the war had officially ended, a state of anarchy and lawlessness pervaded in the first days following the demise of Vitellius. In early 70 AD, order was properly restored by Mucianus, who headed an interim government with Domitian as the representative of the Flavian family in the Senate. Upon receiving the tidings of his rival’s defeat and death at Alexandria, the new Emperor at once forwarded supplies of urgently needed grain to Rome, along with an edict or a declaration of policy, in which he gave assurance of an entire reversal of the laws of Nero, especially those relating to treason. However, in early 70, Vespasian was still in Egypt, continuing to consolidate support from the Egyptians before departing. By the end of the year, he finally returned to Rome, and was properly installed as Emperor. Little factual information survives about Vespasian’s government during the ten years he was Emperor. Vespasian spent his first year as a ruler in Egypt, during which the administration of the empire was given to Mucianus, aided by Vespasian’s son, Domitian. Modern historians believe that Vespasian remained there, in order to consolidate support from the Egyptians. In mid-70, Vespasian first came to Rome and immediately embarked on a widespread propaganda campaign to consolidate his power and promote the new dynasty. His reign is best known for financial reforms following the demise of the Julio-Claudian Dynasty, such as the institution of the tax on urinals, and the numerous military campaigns fought during the 70s. The most significant of these was the First Jewish-Roman War, which ended in the destruction of the city of Jerusalem by Titus. In addition, Vespasian faced several uprisings in Egypt, Gaul, and Germania, and reportedly survived several conspiracies against him. Vespasian helped rebuild Rome after the civil war, adding a temple of peace, and beginning construction of the Flavian Amphitheater, better known as the Colosseum. Many modern historians note the increased amount of propaganda that appeared during Vespasian’s reign. Stories of a supernatural emperor, who was destined to rule, circulated in the empire. Nearly one-third of all coins minted in Rome under Vespasian celebrated military victory or peace. The word vindex was removed from coins so as not to remind the public of rebellious Vindex. Construction projects bore inscriptions praising Vespasian and condemning previous emperors. A temple of peace was constructed in the forum as well. Vespasian approved histories written under his reign, ensuring biases against him were removed. Vespasian also gave financial rewards to writers. The ancient historians who lived through the period, such as Tacitus, Suetonius, Josephus, and Pliny the Elder, speak suspiciously well of Vespasian, while condemning the emperors who came before him. Tacitus admits that his status was elevated by Vespasian, Josephus identifies Vespasian as a patron and savior, and Pliny dedicated his Natural Histories to Vespasian’s son, Titus. Vespasian died of natural causes on June 23, 79, and was immediately succeeded by his eldest son, Titus. Bust of Vespasian: Vespasian founded the Flavian Dynasty, which ruled the Empire for twenty-seven years. The Flavian Dynasty’s military witnessed the siege and destruction of Jerusalem by Titus in 70 CE, and substantial conquests in Great Britain under command of Gnaeus Julius Agricola between 77 and 83 CE. The most significant military campaign undertaken during the Flavian period was the siege and destruction of Jerusalem in 70 CE by Titus; it was a response to a failed Jewish rebellion in 66. Contemporary estimates claimed that 1,100,000 people were killed during the siege, of which a majority were Jewish. Substantial conquests were made in Great Britain under command of Gnaeus Julius Agricola, between 77 and 83. The military campaigns undertaken during Domitian’s reign were usually defensive in nature, as the Emperor rejected the idea of expansionist warfare, and the few battles were mainly fought with Germanic tribes, especially the Dacians. the Forum: A a rectangular forum (plaza) surrounded by the ruins of several important ancient government buildings at the center of the city of Rome, originally a large marketplace. Torah: The central text of the religious Judaic tradition, often referring specifically to the first five books of the twenty-four books of the Tanakh. Limes Germanicus: A line of frontier fortifications that bounded the ancient Roman provinces of Germania Inferior, Germania Superior and Raetia, dividing the Roman Empire and the unsubdued Germanic tribes, from the years 83 to about 260 CE. The Flavian Dynasty’s military witnessed the siege and destruction of Jerusalem by Titus in 70 CE, following the failed Jewish rebellion of 66. Substantial conquests were made in Great Britain under command of Gnaeus Julius Agricola between 77 and 83, while Domitian was unable to procure a decisive victory against King Decebalus in the war against the Dacians. In addition, the Empire strengthened its border defenses by expanding the fortifications along the Limes Germanicus. The most significant military campaign undertaken during the Flavian period was the siege and destruction of Jerusalem in 70 by Titus. The destruction of the city was the culmination of the Roman campaign in Judaea following the Jewish uprising of 66. The Second Temple was completely demolished, after which Titus’s soldiers proclaimed him imperator, an honorific meaning “commander,” in honor of the victory. Jerusalem was sacked and much of the population killed or dispersed. Josephus claims that 1,100,000 people were killed during the siege, of which a majority were Jewish. 97,000 were captured and enslaved, including Simon Bar Giora and John of Gischala. Many fled to areas around the Mediterranean. Titus reportedly refused to accept a wreath of victory, as there is “no merit in vanquishing people forsaken by their own God.” Upon his return to Rome in 71, Titus was awarded a triumph. Accompanied by Vespasian and Domitian, he rode into the city, enthusiastically saluted by the Roman populace, and preceded by a lavish parade containing treasures and captives from the war. Josephus describes a procession with large amounts of gold and silver carried along the route, followed by elaborate re-enactments of the war, Jewish prisoners, and finally the treasures taken from the Temple of Jerusalem, including the Menorah and the Torah. Leaders of the resistance were executed in the Forum, after which the procession closed with religious sacrifices at the Temple of Jupiter. The triumphal Arch of Titus, which stands at one entrance to the Forum, memorializes the victory of Titus. 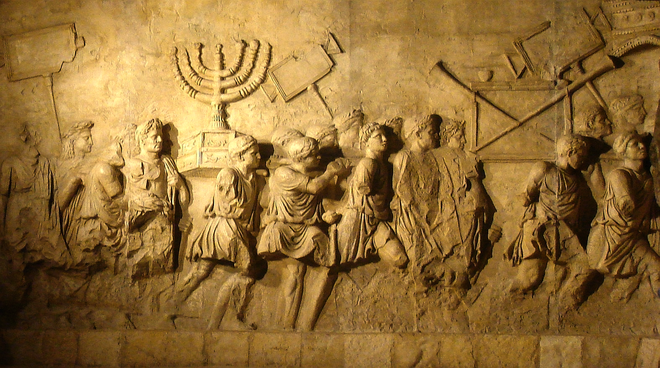 Siege of Jerusalem: This relief from the Arch of Titus depicts Roman soldiers carrying treasures from the Temple of Jerusalem, including the Menorah. The city was besieged and destroyed by Titus in 70 CE. The conquest of Britain continued under command of Gnaeus Julius Agricola, who expanded the Roman Empire as far as Caledonia, or modern day Scotland, between 77 and 84 AD. In 82, Agricola crossed an unidentified body of water and defeated peoples unknown to the Romans until then. He fortified the coast facing Ireland, and Tacitus recalled that his father-in-law often claimed the island could be conquered with a single legion and a few auxiliaries. He had given refuge to an exiled Irish king whom he hoped he might use as the excuse for conquest. This conquest never happened, but some historians believe that the crossing referred to was in fact a small-scale exploratory or punitive expedition to Ireland. The following year, Agricola raised a fleet and pushed beyond the Forth into Caledonia. To aid the advance, an expansive legionary fortress was constructed at Inchtuthil. In the summer of 84, Agricola faced the armies of the Caledonians, led by Calgacus, at the Battle of Mons Graupius. Although the Romans inflicted heavy losses on the Calidonians, two-thirds of their army managed to escape and hide in the Scottish marshes and Highlands, ultimately preventing Agricola from bringing the entire British island under his control. The military campaigns undertaken during Domitian’s reign were usually defensive in nature, as the Emperor rejected the idea of expansionist warfare. His most significant military contribution was the development of the Limes Germanicus, which encompassed a vast network of roads, forts, and watchtowers constructed along the Rhine river to defend the Empire from the unsubdued Germanic tribes. Nevertheless, several important wars were fought in Gaul, against the Chatti, and across the Danube frontier against the Suebi, the Sarmatians, and the Dacians. Led by King Decebalus, the Dacians invaded the province of Moesia around 84 or 85, wreaking considerable havoc and killing the Moesian governor Oppius Sabinus. Domitian immediately launched a counteroffensive, which resulted in the destruction of a legion during an ill-fated expedition into Dacia. Their commander, Cornelius Fuscus, was killed, and the battle standard of the Praetorian Guard lost. In 87, the Romans invaded Dacia once more, this time under command of Tettius Julianus, and finally managed to defeat Decebalus late in 88, at the same site where Fuscus had previously been killed. An attack on Dacia’s capital was cancelled, however, when a crisis arose on the German frontier. This forced Domitian to sign a peace treaty with Decebalus that was severely criticized by contemporary authors. For the remainder of Domitian’s reign, Dacia remained a relatively peaceful client kingdom, but Decebalus used the Roman money to fortify his defenses, and continued to defy Rome. It was not until the reign of Trajan, in 106, that a decisive victory against Decebalus was procured. Again, the Roman army sustained heavy losses, but Trajan succeeded in capturing Sarmizegetusa and, importantly, annexed the gold and silver mines of Dacia. The eruption of Mount Vesuvius in 79 CE was one of the most catastrophic volcanic eruptions in European history, with several Roman settlements obliterated and buried, and thereby preserved, under ash. The eruption of Mount Vesuvius in 79 CE, during the reign of Emperor Titus, was one of the most catastrophic volcanic eruptions in European history. Historians have learned about the eruption from the eyewitness account of Pliny the Younger, a Roman administrator and poet. Mount Vesuvius spewed a deadly cloud of volcanic gas, stones, and ash to a height of 21 miles, ejecting molten rock and pulverized pumice at the rate of 1.5 million tons per second, ultimately releasing a hundred thousand times the thermal energy of the Hiroshima bombing. Several Roman settlements were obliterated and buried underneath massive pyroclastic surges and ashfall deposits, the most well known of which are Pompeii and Herculaneum. The preserved remains of about 1,500 people have been found at Pompeii and Herculaneum, but the overall death toll is still unknown. Pompeii: An ancient Roman town-city near modern Naples, in the Campania region of Italy, destroyed during the eruption of Mount Vesuvius. pyroclastic surge: A fluidized mass of turbulent gas and rock fragments, ejected during some volcanic eruptions. Pliny the Younger: A lawyer, author, and magistrate of Ancient Rome who witnessed the eruption of Mount Vesuvius. Although his administration was marked by a relative absence of major military or political conflicts, Titus faced a number of major disasters during his brief reign. On August 24, 79 CE, barely two months after his accession, Mount Vesuvius erupted, resulting in the almost complete destruction of life and property in the cities and resort communities around the Bay of Naples. The cities of Pompeii and Herculaneum were buried under meters of stone and lava, killing thousands of citizens. Titus appointed two ex-consuls to organize and coordinate the relief effort, while personally donating large amounts of money from the imperial treasury to aid the victims of the volcano. Additionally, he visited Pompeii once after the eruption and again the following year. The city was lost for nearly 1,700 years before its accidental rediscovery in 1748. Since then, its excavation has provided an extraordinarily detailed insight into the life of a city at the height of the Roman Empire, frozen at the moment it was buried on August 24, 79. The Forum, the baths, many houses, and some out-of-town villas, like the Villa of the Mysteries, remain surprisingly well preserved. Today, it is one of the most popular tourist attractions of Italy and a UNESCO World Heritage Site. On-going excavations reveal new insights into the Roman history and culture. Reconstructions of the eruption and its effects vary considerably in the details but have the same overall features. The eruption lasted for two days. The morning of the first day, August 24, was perceived as normal by the only eyewitness to leave a surviving document, Pliny the Younger, who at that point was staying at Misenum, on the other side of the Bay of Naples, about 19 miles from the volcano, which may have prevented him from noticing the early signs of the eruption. He was not to have any opportunity, during the next two days, to talk to people who had witnessed the eruption from Pompeii or Herculaneum (indeed he never mentions Pompeii in his letter), so he would not have noticed early, smaller fissures and releases of ash and smoke on the mountain, if such had occurred earlier in the morning. Around 1:00 p.m., Mount Vesuvius violently exploded, throwing up a high-altitude column from which ash began to fall, blanketing the area. Rescues and escapes occurred during this time. At some time in the night or early the next day, August 25, pyroclastic flows in the close vicinity of the volcano began. Lights seen on the mountain were interpreted as fires. People as far away as Misenum fled for their lives. The flows were rapid-moving, dense, and very hot, knocking down wholly or partly all structures in their path, incinerating or suffocating all population remaining there and altering the landscape, including the coastline. These were accompanied by additional light tremors and a mild tsunami in the Bay of Naples. By evening of the second day the eruption was over, leaving only haze in the atmosphere, through which the sun shone weakly. In Pompeii, the eruption destroyed the city, killing its inhabitants and burying it under tons of ash. Evidence for the destruction originally came from a surviving letter by Pliny the Younger, who saw the eruption from a distance and described the death of his uncle, Pliny the Elder, an admiral of the Roman fleet, who tried to rescue citizens. The site was lost for about 1,500 years until its initial rediscovery in 1599, and broader rediscovery almost 150 years later by Spanish engineer Rocque Joaquin de Alcubierre in 1748. The objects that lay beneath the city have been preserved for centuries because of the lack of air and moisture. These artifacts provide an extraordinarily detailed insight into the life of a city during the Pax Romana. During the excavation, plaster was used to fill in the voids in the ash layers that once held human bodies. This allowed archaeologists to see the exact position the person was in when he or she died. Pompeii’s “Garden of the Fugitives”: Plaster casts of victims still in situ; many casts are in the Archaeological Museum of Naples. By 2003, around 1,044 casts made from impressions of bodies in the ash deposits had been recovered in and around Pompeii, with the scattered bones of another 100. The remains of about 332 bodies have been found at Herculaneum (300 in arched vaults discovered in 1980). The percentage these numbers represent of the total dead, or the percentage of the dead to the total number at risk, remain completely unknown. Ring Lady: The skeletal remains of a young woman killed by the eruption of Mount Vesuvius in 79 CE. The skeleton, unearthed from the ruins of Herculaneum in 1982, was named the “Ring Lady” because of the emerald and ruby rings found on the woman’s left hand. Two gold bracelets and gold earrings were also found by the woman’s side. Under the Flavian Dynasty, a massive building program was undertaken, leaving multiple enduring landmarks in the city of Rome, the most spectacular of which was the Flavian Amphitheater, better known as the Colosseum. Perhaps the most enduring legacy of the Flavian Dynasty was their massive building program, which not only erected new buildings to celebrate their successes, but also renovated buildings, statues, and monuments throughout Rome. The most spectacular of these buildings was the Flavian Amphitheater, better known as the Colosseum, built from the spoils of the Siege of Jerusalem. The Colosseum was used for gladiatorial contests and public spectacles, such as mock sea battles, animal hunts, executions, re-enactments of famous battles, and dramas based on Classical mythology. The bulk of the Flavian construction projects was carried out during the reign of Domitian, who spent lavishly to restore and embellish the city of Rome. Flavian Amphitheatre: Better known as the Colosseum, an oval amphitheater in the center of the city of Rome, Italy; used for gladiatorial games, among other activities. Apollo: One of the most important and complex of the Olympian deities, variously recognized as a god of music, truth and prophecy, healing, the sun and light, plague, poetry, and more. The Flavian Dynasty is perhaps best known for its vast construction program on the city of Rome, intended to restore the capital from the damage it had suffered during the Great Fire of 64, and the civil war of 69. Vespasian added the temple of Peace and the temple to the deified Claudius. In 75, a colossal statue of Apollo, begun under Nero as a statue of himself, was finished on Vespasian’s orders, and he also dedicated a stage of the theater of Marcellus. Construction of the Flavian Amphitheater, presently better known as the Colosseum (probably after the nearby statue), was begun in 70 CE under Vespasian, and finally completed in 80 under Titus. In addition to providing spectacular entertainments to the Roman populace, the building was also conceived as a gigantic triumphal monument to commemorate the military achievements of the Flavians during the Jewish wars. Adjacent to the amphitheater, within the precinct of Nero’s Golden House, Titus also ordered the construction of a new public bath-house, which was to bear his name. Construction of this building was hastily finished to coincide with the completion of the Flavian Amphitheater. The bulk of the Flavian construction projects was carried out during the reign of Domitian, who spent lavishly to restore and embellish the city of Rome. Much more than a renovation project however, Domitian’s building program was intended to be the crowning achievement of an Empire-wide cultural renaissance. Around 50 structures were erected, restored, or completed, a number second only to the amount erected under Augustus. Among the most important new structures were an odeum, a stadium, and an expansive palace on the Palatine Hill, known as the Flavian Palace, which was designed by Domitian’s master architect, Rabirius. The most important building Domitian restored was the Temple of Jupiter on the Capitoline Hill, which was said to have been covered with a gilded roof. Among those he completed were the Temple of Vespasian and Titus, the Arch of Titus, and the Colosseum, to which he added a fourth level and finished the interior seating area. The Colosseum is an oval amphitheater in the center of the city of Rome, Italy. Built of concrete and sand, it is the largest amphitheater ever built. The Colosseum is situated just east of the Roman Forum. Construction began under the emperor Vespasian in 72 CE, and was completed in 80 CE under his successor and heir, Titus. Further modifications were made during the reign of Domitian (81-96). The Colosseum could hold, it is estimated, between 50,000 and 80,000 spectators, with an average audience of some 65,000; it was used for gladiatorial contests and public spectacles, such as mock sea battles (for only a short time, as the hypogeum was soon filled in with mechanisms to support the other activities), animal hunts, executions, re-enactments of famous battles, and dramas based on Classical mythology. Construction was funded by the opulent spoils taken from the Jewish Temple after the Great Jewish Revolt in 70 CE led to the Siege of Jerusalem. According to a reconstructed inscription found on the site, “the emperor Vespasian ordered this new amphitheater to be erected from his general’s share of the booty.” Along with the spoils, estimated 100,000 Jewish prisoners were brought back to Rome after the war, and many contributed to the massive workforce needed for construction. The slaves undertook manual labor, such as working in the quarries at Tivoli where the travertine was quarried, along with lifting and transporting the quarried stones 20 miles from Tivoli to Rome. Along with this free source of unskilled labor, teams of professional Roman builders, engineers, artists, painters and decorators undertook the more specialized tasks necessary for building the Colosseum. The Flavian Amphitheater: The most enduring landmark of the Flavian Dynasty was the Flavian Amphitheater, better known as the Colosseum. Its construction was begun by Vespasian, and ultimately finished by Titus and Domitian, financed from the spoils of the destruction of the Second Jerusalem Temple. Domitian, the last of the Flavian emperors, was a ruthless autocrat who had many enemies, some of whom eventually assassinated him, giving rise to the long-lived Nerva-Antonine Dynasty. Flavian rule came to an end on September 18, 96, when Domitian was assassinated and was succeeded by the longtime Flavian supporter and advisor Marcus Cocceius Nerva, who founded the long-lived Nerva-Antonine Dynasty. Domitian’s government exhibited totalitarian characteristics, which caused disapproval of the Roman Senate, among others. He dealt with several revolts during his rule, the last one being a successful assassination. The Senate rejoiced at the death of Domitian, and immediately following Nerva’s accession as Emperor, passed damnatio memoriae on his memory: his coins and statues were melted, his arches were torn down, and his name was erased from all public records. damnatio memoriae: Latin for “condemnation of memory,” a form of dishonor that could be passed by the Roman Senate on traitors or others who brought discredit to the Roman State; the intent was to erase the malefactor from history, a task somewhat easier in ancient times, when documentation was limited. Marcus Cocceius Nerva: Succeeded Domitian as emperor the same day as his assassination. Founded the Nerva-Antonine Dynasty. Roman Senate: A political institution in ancient Rome, and one of the most enduring institutions in Roman history, established in the first days of the city. By the time of the Roman Empire,it had lost much of its political power as well as its prestige. Flavian rule came to an end on September 18, 96, when Domitian was assassinated. He was succeeded by the longtime Flavian supporter and advisor, Marcus Cocceius Nerva, who founded the long-lived Nerva-Antonine Dynasty. 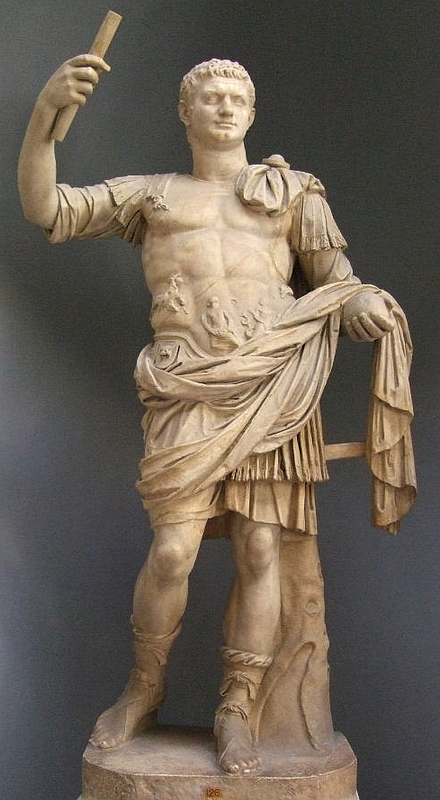 Domitian’s government exhibited totalitarian characteristics; he saw himself as the new Augustus, an enlightened despot destined to guide the Roman Empire into a new era of brilliance. Religious, military, and cultural propaganda fostered a cult of personality, and by nominating himself perpetual censor, he sought to control public and private morals. As a consequence, Domitian was popular with the people and army, but considered a tyrant by members of the Roman Senate. Since the fall of the Republic, the authority of the Roman Senate had largely eroded under the quasi-monarchical system of government established by Augustus, known as the Principate. The Principate allowed the existence of a de facto dictatorial regime, while maintaining the formal framework of the Roman Republic. Most Emperors upheld the public facade of democracy, and in return the Senate implicitly acknowledged the Emperor’s status as a de facto monarch. The dislike was mutual. After Domitian’s assassination, the senators of Rome rushed to the Senate house, where they immediately passed a motion condemning his memory to oblivion. Under the rulers of the Nervan-Antonian Dynasty, senatorial authors published histories that elaborated on the view of Domitian as a tyrant. Modern revisionists have instead characterized Domitian as a ruthless but efficient autocrat, whose cultural, economic, and political program provided the foundation of the peaceful 2nd century. Domitian dealt with several revolts during his rule, the last of which was a successful plot to assassinate him. Domitian was assassinated on September 18, 96, in a palace conspiracy organized by court officials. A highly detailed account of the plot and the assassination is provided by Suetonius, who alleges that Domitian’s chamberlain, Parthenius, was the chief instigator behind the conspiracy, citing the recent execution of Domitian’s secretary, Epaphroditus, as the primary motive. The murder itself was carried out by a freedman of Parthenius, named Maximus, and a steward of Domitian’s niece Flavia Domitilla, named Stephanus. The precise involvement of the Praetorian Guard is less clear. At the time, the Guard was commanded by Titus Flavius Norbanus and Titus Petronius Secundus, and the latter was almost certainly aware of the plot. Cassius Dio, writing nearly a hundred years after the assassination, includes Domitia Longina among the conspirators, but in light of her attested devotion to Domitian—even years after her husband had died—her involvement in the plot seems highly unlikely. Dio further suggests that the assassination was improvised, while Suetonius implies a well-organized conspiracy. For some days before the attack took place, Stephanus feigned an injury so as to be able to conceal a dagger beneath his bandages. On the day of the assassination, the doors to the servants’ quarters were locked while Domitian’s personal weapon of last resort, a sword he concealed beneath his pillow, had been removed in advance. Domitian and Stephanus wrestled on the ground for some time, until the Emperor was finally overpowered and fatally stabbed by the conspirators; Stephanus was stabbed by Domitian during the struggle and died shortly afterward. Around noon, Domitian, just one month short of his 45th birthday, was dead. His body was carried away on a common bier, and unceremoniously cremated by his nurse Phyllis, who later mingled the ashes with those of his niece Julia, at the Flavian temple. 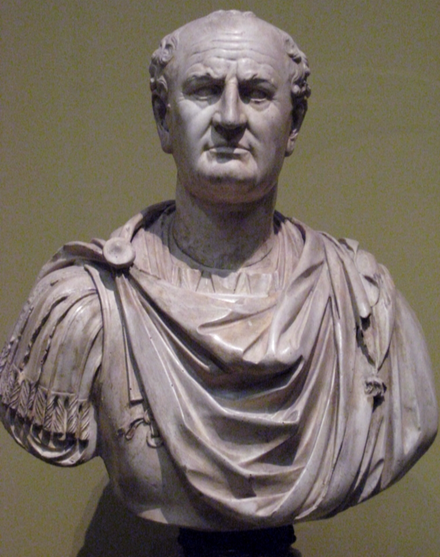 The same day as Domitian’s death, the Senate proclaimed Marcus Cocceius Nerva to be emperor. Despite his political experience, this was a remarkable choice. Nerva was old and childless, and had spent much of his career out of the public light, prompting both ancient and modern authors to speculate on his involvement in Domitian’s assassination. According to Cassius Dio, the conspirators approached Nerva as a potential successor prior to the assassination, suggesting that he was at least aware of the plot. He does not appear in Suetonius’ version of the events, but this may be understandable, since his works were published under Nerva’s direct descendants, Trajan and Hadrian. To suggest the dynasty owed its accession to murder would have been less than sensitive. The Senate nonetheless rejoiced at the death of Domitian, and immediately following Nerva’s accession as Emperor, passed damnatio memoriae on his memory: his coins and statues were melted, his arches were torn down, and his name was erased from all public records. Domitian and, over a century later, Publius Septimius Geta, were the only emperors known to have officially received a damnatio memoriae, though others may have received de facto ones. In many instances, existing portraits of Domitian, such as those found on the Cancelleria Reliefs, were simply recarved to fit the likeness of Nerva, which allowed quick production of new images and recycling of previous material. Yet the order of the Senate was only partially executed in Rome, and wholly disregarded in most of the provinces outside Italy. Although Nerva’s brief reign was marred by financial difficulties and his inability to assert his authority over the Roman army (who were still loyal to Domitian), his greatest success was his ability to ensure a peaceful transition of power after his death, thus founding the Nerva-Antonine Dynasty. Domitian: Domitian as Emperor (Vatican Museums), possibly recut from a statue of Nero.